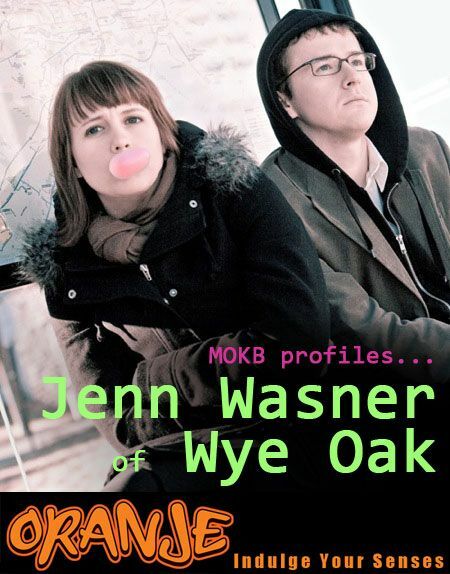 Baltimore duo and Merge Records artists Wye Oak will kick off a more-than-a-month-long tour in Indianapolis this Saturday. They’ll be featured on the My Old Kentucky Blog Stage at the 2009 ORANJE art and music experience. MOKB’s stage also features what are sure to be amazing performances from Heavy Hometown, Lucky Pineapple, Skittz/Ace One/DJ Helicon, Jascha and Andy D! ORANJE happens this Saturday (9/19) at 2323 North Illinois Street from 8pm to 2am! Visit the website to see all the acts that will be performing, along with all the talented artists that will be on display! Must see/go to place where you live : The True Vine Record Shop! Artist of The Past You’ve Been Listening To : Notiorious B.I.G. Greatest Accomplishment : Finishing our new record.